Mix together the lime zest, lime juice, olive oil, chilli paste, garlic and seasoning, set aside. 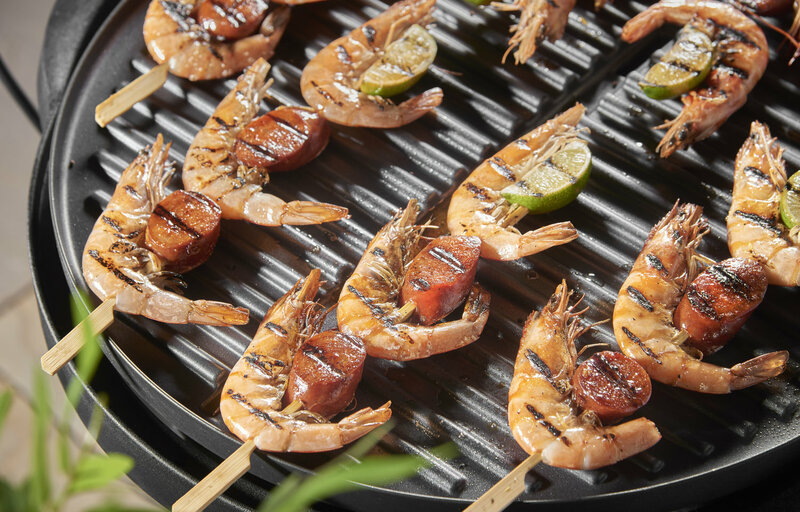 On each wooden skewer add 3 prawns and 3 pieces of chorizo and place in a shallow tray. Spoon the dressing over the top and coat the skewers. Pre heat the grill to maximum. Cook the skewers for approx. 4-6 minutes then turn and cook for a further 4-6 minutes.